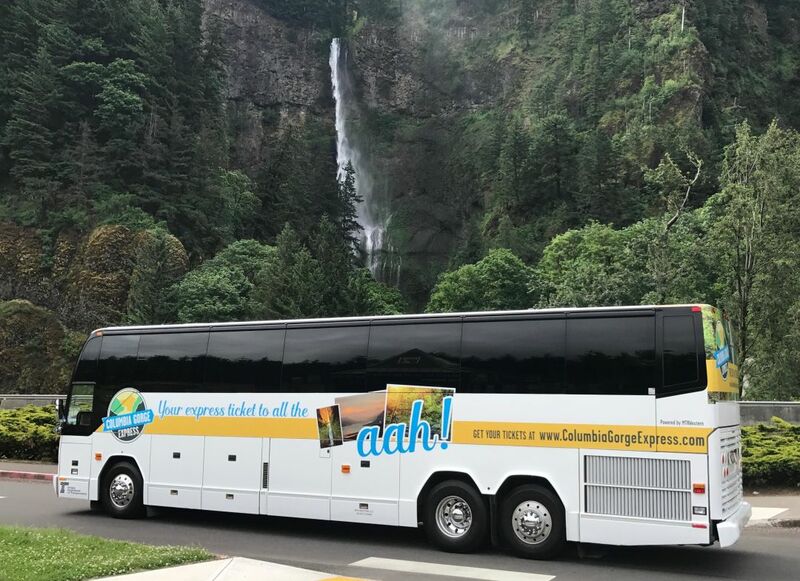 The Columbia Gorge Express launches 2018 service to Multnomah Falls (and beyond) on Memorial Day Weekend. Plus: the formerly seasonal shuttle will now run year-round! Iconic Multnomah Falls is one of the most visited natural recreation sites in the Pacific Northwest, attracting 2 million annual visitors to marvel at the 611-foot-tall cascading waterfall. But first, of course, fans must jockey for a spot at the site’s meager parking lots. The shuttle service was launched in 2016 by the Oregon Department of Transportation in partnership with TriMet, Oregon State Parks, the Forest Service, and other agencies. The goal? To help reduce the site’s notorious traffic congestion. It's proved so successful (ridership increased by 10 percent last year, with the service ferrying an average 550 riders a day and 28,000 throughout the season) that ODOT is extending the shuttle to Cascade Locks and Hood River, with plans to run the service year-round going forward. 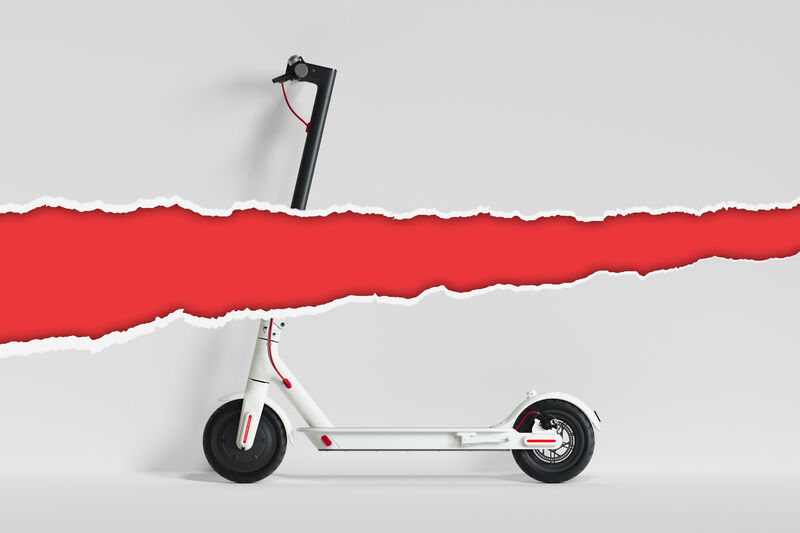 We’re sold—and the reasonable fare makes it easy. Last year, a round-trip ticket was $5, and while prices and schedules won’t be released until early May, ODOT hopes to keep 2018 fares to Multnomah Falls about the same, with a bit more tacked on for riders to Cascade Locks or Hood River. “One of the main objectives of this service is to provide access to those who don’t have other options to getting to recreations destinations in the Gorge,” says Jake Warr, the Columbia Gorge Express Manager. In addition to rider fares, the program is primarily funded by a Federal Lands Access Program (FLAP) grant administered by the Federal Highway Administration’s Western Federal Lands Division. Warr says financing should be enough to keep the shuttle going through 2020, at which point ODOT will hopefully have nailed down long-term funding. The Multnomah Falls parking kerfuffle is just one symptom of a larger problem this service is meant to address. 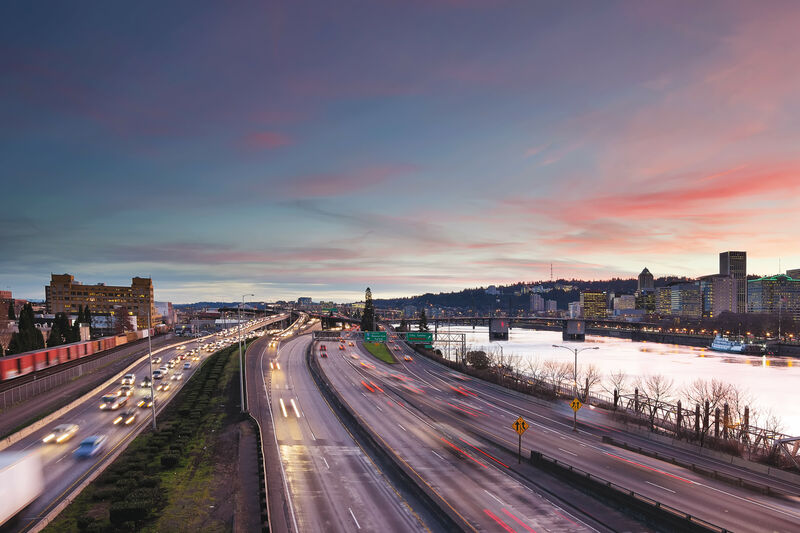 Congestion and safety concerns now plague the Historic Columbia River Highway and I-84; that's according to a 2015-2016 transit study from the Historic Columbia River Highway Collaborative, which first proposed the shuttle service. Events since then have only reinforced the need to find smarter ways to enjoy the Gorge, says Warr. It's tricky to accurately measure the shuttle service’s impact on congestion thus far (though Warr says half of the shuttle's surveyed riders claimed they would have otherwise driven). That indicates the shuttle service spared the Gorge some 15,000 cars, he says. Perhaps the clearest indication of improvement has been measurable parking relief at Multnomah Falls. 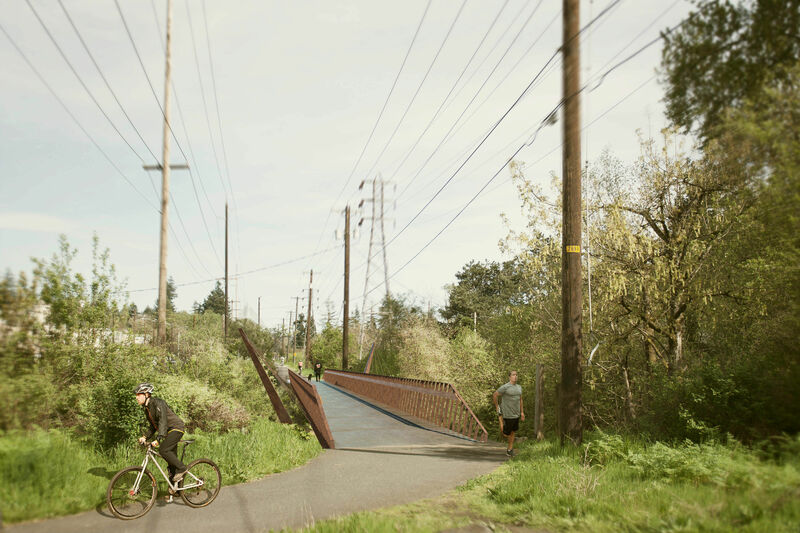 An overhead highway sign in the Troutdale area now notifies travelers when the Falls' parking lot is full, advising drivers to instead park at Rooster Rock and hop on the shuttle for the last leg of the journey (for free, though parking at Rooster Rock is $5 per vehicle). Eventually, the extended route could wrap all the way around Mount Hood. 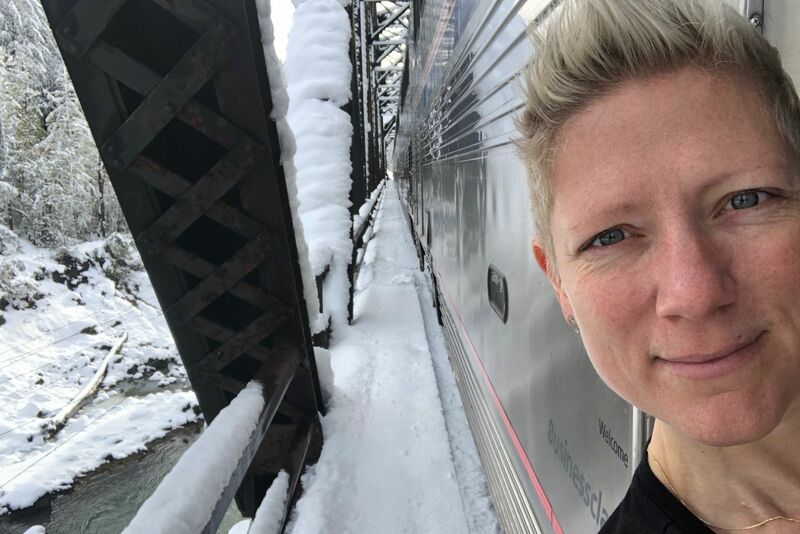 According to Warr, the Hood River County Transportation District, in partnership with ODOT, is working on a plan for transit service between Hood River and Government Camp via Highway 35 that would create a transit loop.